Speeding up the composite curing process and lowering the costs will contribute to the more frequent application of composites in large-scale production. Researchers behind FeneCom project are developing the ways to make composite materials production more eco-friendly and energy efficient. Both challenges are key aspects, taking into account the dynamic turn towards the green economy. The process of thermoset composites manufacturing consumes extremely high amounts of energy and time, demands special equipment and large production area. Long processing time and high production costs prevent composites from being implemented in the serial production. In its time CORNET-Project LEDcure demonstrated the benefits for curing composites made from glass fiber with UV-LED curing systems thanks to the UV-transparency of glass fiber. At the present time the compositions with filling from other fibers – basalt, carbon and aramid – have become very popular. 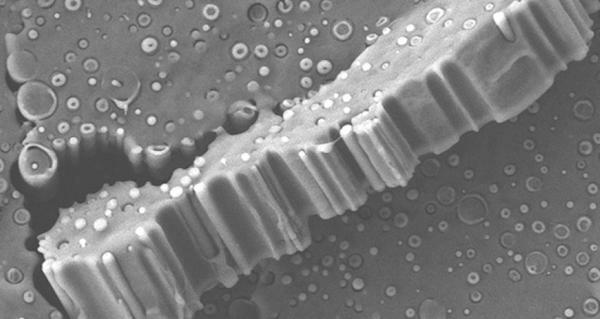 These are non-transparent fibers and this method cannot be applied to them without further work. A new research project is a follow-up of the previous one and focused on efficient methods of curing composites containing non-UV-transparent fibres. Moreover, special attention is devoted to fire retardant properties, which many applications also require. Developing hybrid fabrics: UV-transparent fibers will be incorporated in basalt or carbon fabrics and even in nonwovens. These fabrics and nonwovens will then be impregnated with UV-curable resins. The UV-transparent fibers will ensure that UV-light penetrates deeper into the material, resulting in a better through curing. Electron beam (EB) curing: EB curing requires similar chemistry as UV-curing. However, because electron beams are more energetic, they can cure deeper. Moreover, the fibers do not have to be UV-transparent. Infrared curing: Infrared light is a more efficient technique to heat up materials compared to convection heating and it will be investigated if this technique can be used as drying method to obtain prepregs or even for full curing. Dual curing: dual cure resins can be cured by light or by heat. The resins that are exposed to the light will cure instantly. As a result, the composite is already dry and can be easily transported. Full curing is then achieved by time or heat. Fire retardancy (FR): Fire retardancy will be achieved by adding FR additives or by using FR resins. FeneCom project is financed by the international research network CORNET founded by both the German Federal Ministry for Economic Affairs and Energy, and the Agency for Innovation and Entrepreneurship of the Flemish Government Vlaio, in partnership with the Association of the Saxon Textile Research Institutes (STFI). Studies are conducted under the aegis of Centexbel, the scientific and technical center of the Belgian textile industry.